1. You can reserve a group study room for up to 2 hours. 2. You need to have two or more members (yourself included) to be a group. 3. Rooms can be reserved up to a week in advance at the Reference Desk or by calling (562) 908-3484. 4. Groups are limited to one room reservation per day. 5. At least two members of your group must be present in order for your room reservation to be honored. 6. If you do not arrive within 10 minutes of your reserved time, you may lose your reservation. 7. If room is left unattended, you automatically forfeit your room reservation. 8. The Library is not responsible for any items or personal belongings left unattended in the study rooms. 9. Due to safety issues, groups are not allowed to block windows with whiteboards or other objects. 10. 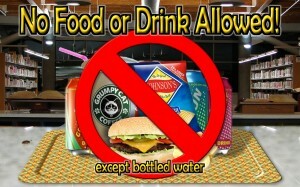 No food or drinks are allowed in the library except for bottled water. This includes the study rooms. 11. Students must keep study room sessions quiet to avoid disturbing others outside of the room. 12. Group study rooms are to be used for academic purposes only (i.e. no sleeping, watching movies, playing video games, etc.). 13. Students are responsible for controlling noise level, keeping the room clean, and erasing the whiteboard upon leaving as a courtesy to the next group. 14. Private commercial tutors are not allowed to reserve group study rooms. College campus tutors should refrain from using the library’s group study rooms and work within their designated departments. 15. Violation of any of the above guidelines may result in the loss of group study room privileges.